Dr. Oishi completed a Spine Fellowship at the University of Pittsburgh Medical Center, Department of Neurosurgery in 2003. He was born in New York, New York and attended Cornell University Medical College where he earned his MD degree in 1996. Dr. Oishi received his PhD in Molecular and Cellular Neuroscience from The Rockefeller University. After graduation, Dr. Oishi completed his Neurosurgical residency at the Montefiore Medical Center/Albert Einstein College of Medicine in New York. He has been practicing in Texas since 2003 and is board certified, specializing in spinal disorders. 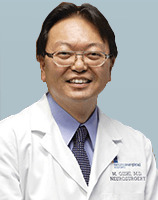 Dr. Oishi and his wife have three children and he enjoys fishing, golf and travel. He is also fluent in both English and Japanese.